After the great success of Bill Viola’s exhibition, the Crypt of Leonard hosts a new suggestive exhibition: Michelangelo at the Crypt of Leonard. This exhibition displays “The gaze of Michelangelo” (Lo sguardo di Michelangelo), that is the latest short movie made by the great director Michelangelo Antonioni (1912-2007). This short movie provides the renowned director with the opportunity for a deep and unique encounter with his namesake: Michelangelo Buonarroti (1475-1564). Antonioni’s short movie is a deep and intimate tribute to the popular Moses by Michelangelo Buonarroti. From the 11th of May to the 15th September 2018, it will be possible to see “The gaze of Michelangelo”, a 15-minute short film produced by Istituto Luce and Lottomatica. The movie, made by the director from Ferrara in 2004, three years before his death, can be considered his spiritual testament. 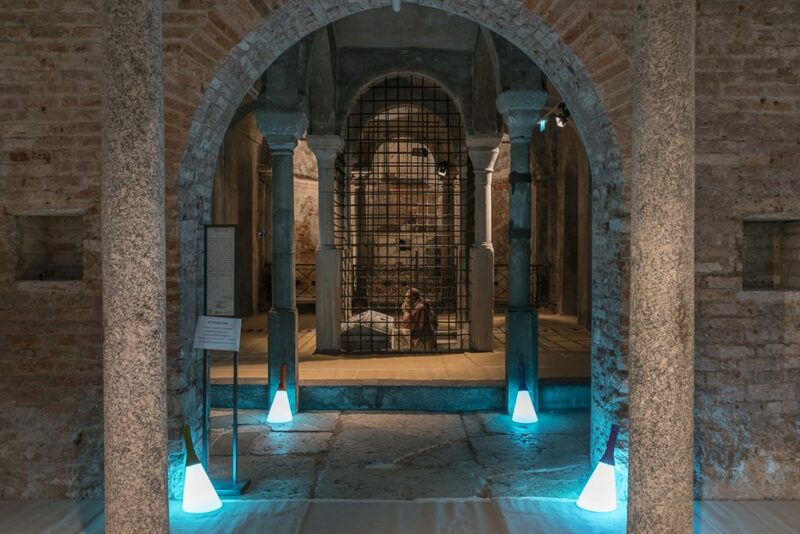 The initiative, curated by Giuseppe Frangi, produced by MilanoCard and Casa Testori, promoted by the Venerable Biblioteca Ambrosiana, under the patronage of the Michelangelo Antonioni Association and the sponsorship of Analysis, tells the extraordinary experience of the meeting between the director and Michelangelo Buonarroti’s Moses, in the Basilica of San Pietro in Vincoli in Rome. The gaze referred to in the title is that of the director who enters the church immersed in the shadoes, stops and remains motionless, almost overwhelmed, in front of the masterpiece of Buonarroti, scrutinizing the details and dwelling on the expression of the prophet. The exhibition itinerary is enriched by some photos of the Moses made by Aurelio Amendola (Pistoia, 1938), one of the most important Italian photographers.